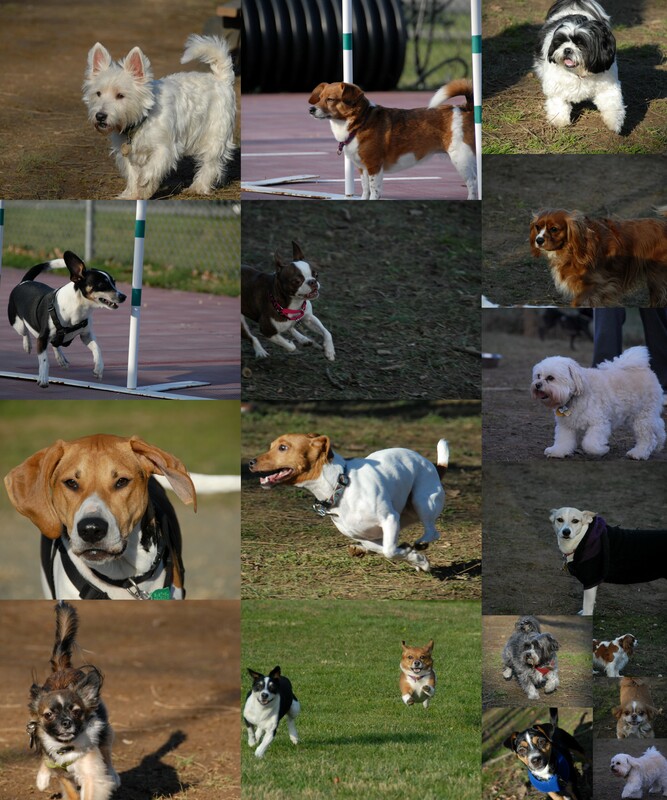 It was another beautiful Sunday which sent Scraps and Rags bark hopping to a variety of dog parks. We went from an exciting time at the small dog park at Central Park to a peaceful time at Denville dog park and capped the afternoon off with a return to central Park. 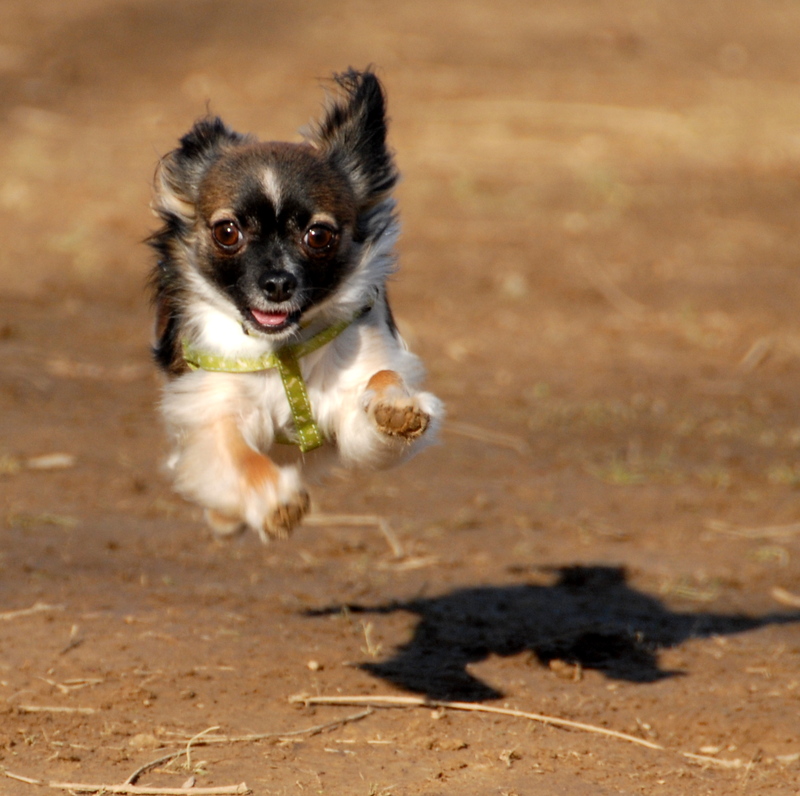 Initially in Central Park we met Toby, a long-haired Chihuahua, who was the most energetic dog in the park. Giving Rory a run for his money. It was nice to see this tiny burst of energy flying around the mud and providing entertainment to everyone. 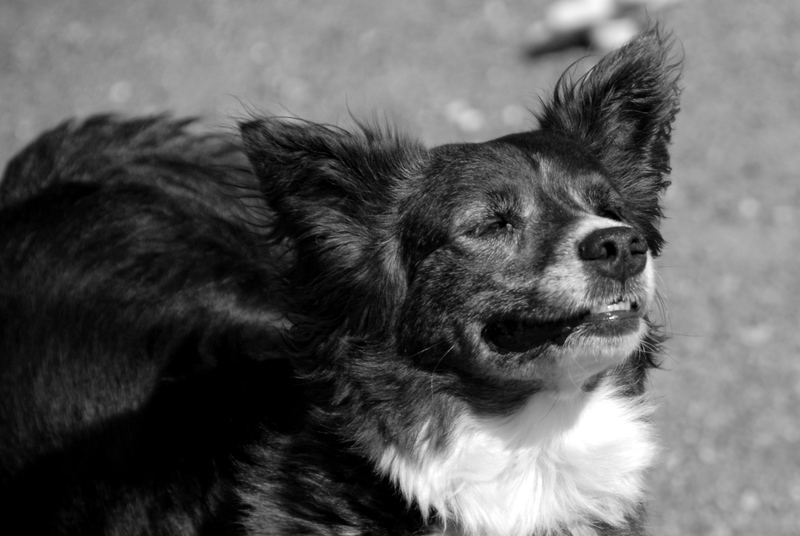 We welcome Toby to the dog park blog. As I mentioned, we headed to the Denville dog park for some agility practice as Scraps and Rags have a competition this weekend and a little work on the weave poles will do them good. We did meet Milo there when we arrive who was the only dog in Denville. After some good agility practice, ball fetching and photo taking we were ready to go home. One the way we passed the central dog park and it was once again happening so we stopped by for a little night-cap. 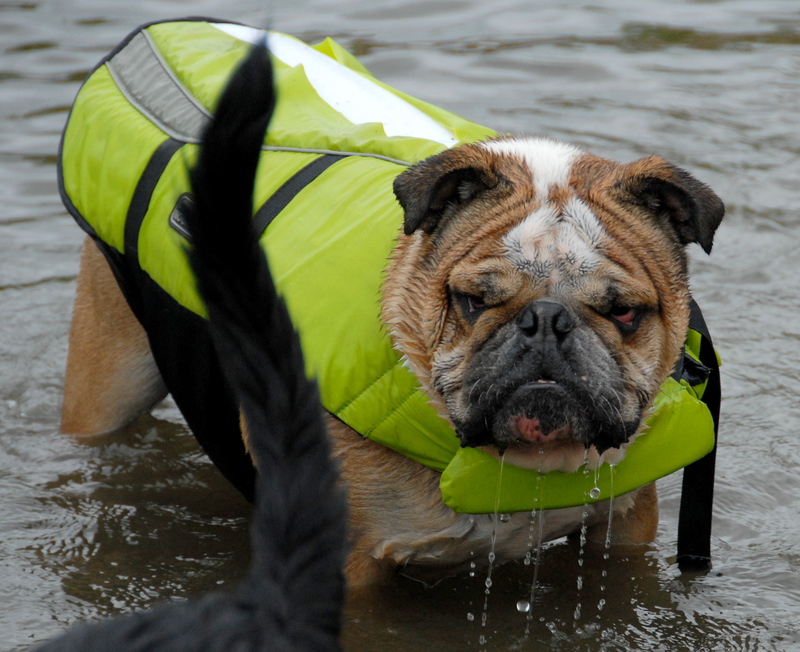 Dogs Gone Wild fundraiser for the Denville dog park and animal shelter was billed as an off leash swimming and playing for event your dogs enjoyment, picnic area for your enjoyment. The fee for the event was $10 for dog park members $20 for non members all money goes to support the denville dog park and animal shelter. 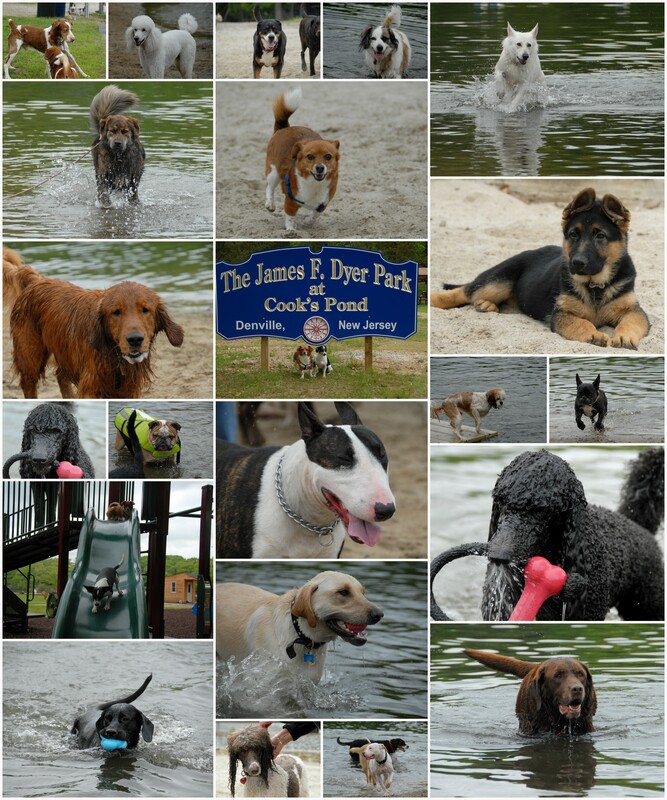 Previous years’ Dogs Gone Wild have helped create and build the Happy Hound Playground (Denville Dog Park) as well as help pay for the new Gazebo, benches, picnic tables and the new dog pool that will be installed this spring at the dog park. Contributions have also helped pay for medical expenses for animals that are in need at the Denville Animal shelter. This was the first time Scraps and Rags ever made it to this event and from the talk we heard, the turnout was better than ever. It was cloudy with no sun but it wasn’t cold and it never rained. While no people went in the water above their knees, many a dog took the opportunity to play in the water and have some wet fun. It was tough to recognize many of the dogs that were we because they just don’t look the same. There was a high density of dogs in and around the water giving me up close access to a lot of action. The only thing missing was the sun. 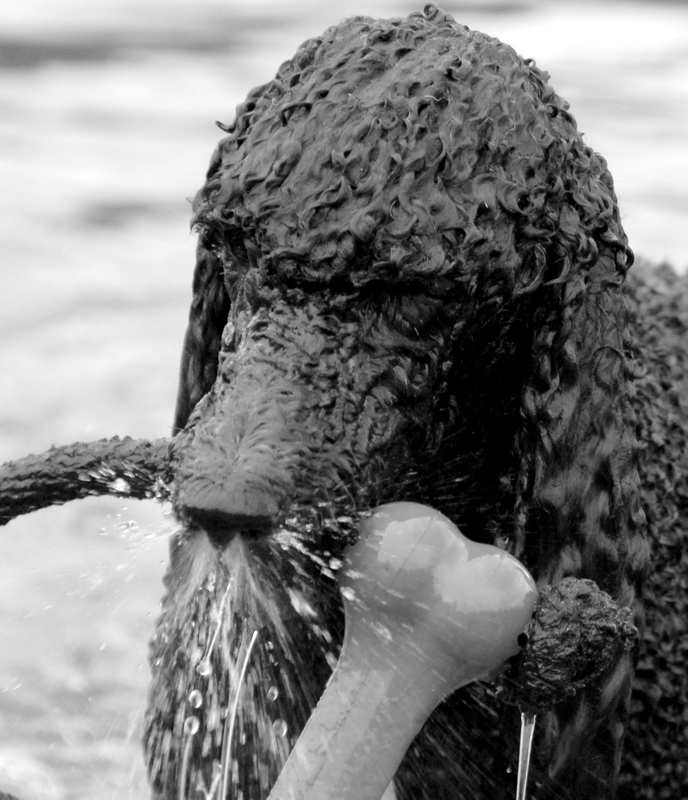 Nevertheless, the happiness of the dogs playing in the water with so many of their friends in and around them more than made up for the lack of sunlight and resulted in many good pictures. 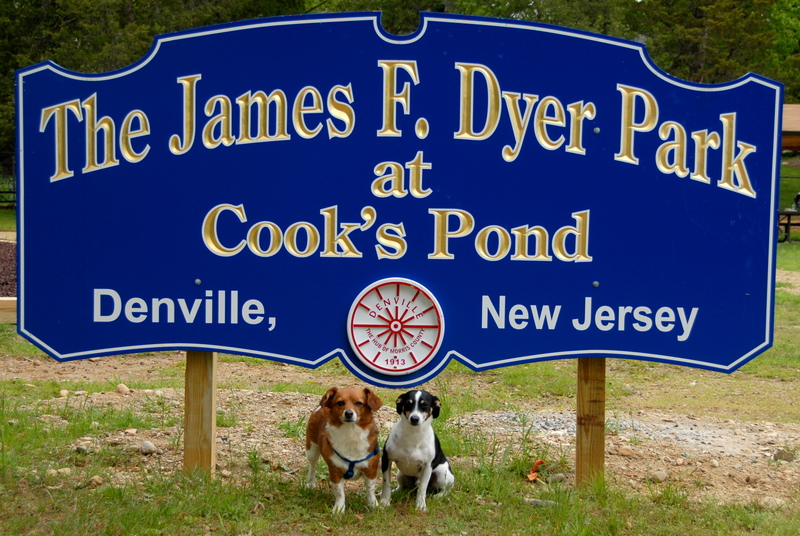 I hope the event made some good money for Denville and Scraps and Rags look forward to coming to many more of these Dogs Gone Wild events at Cook’s Pond. 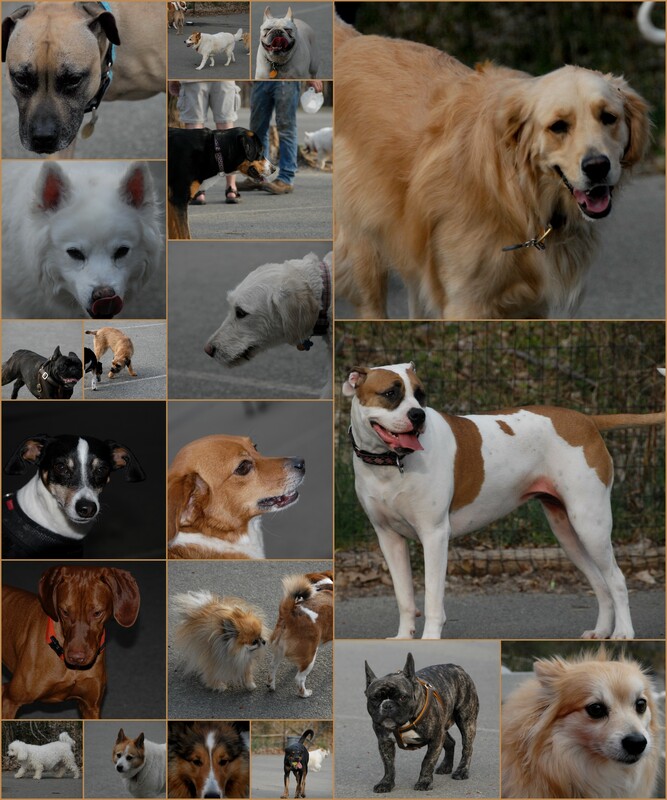 You can also help support the dog park buy purchasing photographs of the dogs I took during the day. The sun came out on this Sunday after a very wet Saturday. 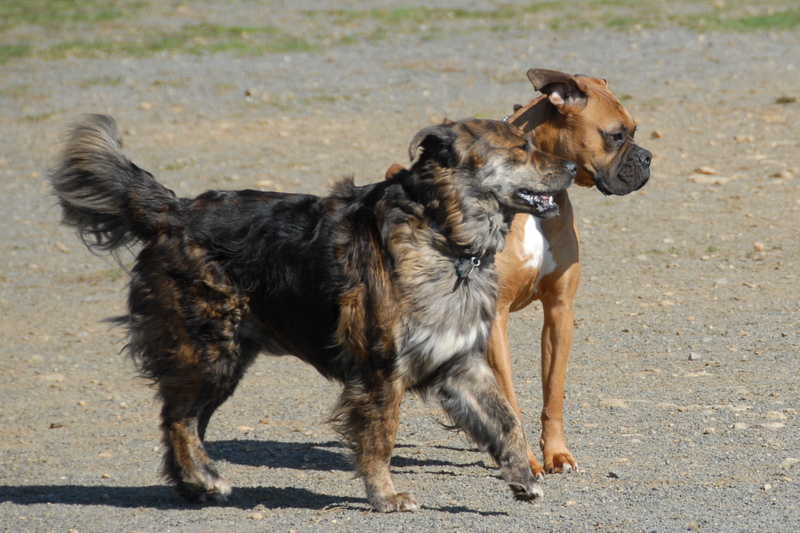 Scraps and Rags wanted to enjoy the sunshine and head to the dog park. 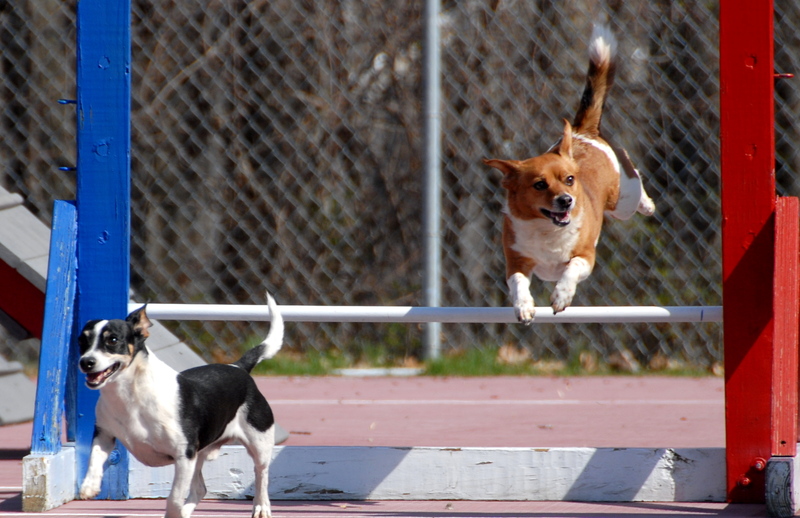 They have been to the Lewis Morris dog park recently, but with a season of dog agility trials beginning just a few week away, we decided to go to Denville so we could use the agility equipment. When we got there we went to the small dog park where two small cute dogs were hanging out, Keo and Kaylie, or something like that. Other new dogs we found include Mabel, so welcome to all the dogs. On the way over to the Denville Dog Park we stopped by the dog park at Central Park and saw they have made some progress on the dog park. There is paving and earth moving equipment in place and a gravel path has been laid. Hopefully the new and improved dog park will be open soon. Today seemed like the warmest day of the year and it was nice to get Scraps and Rags out to the dog park after work. With the Central Park dog park still closed for renovations, more on that in a subsequent post, the Dog Park at Lewis Morris was our choice for the day. While warm, it was cloudy and rain seem to loom on the horizon, but it never materialized. There were a dozen or so dogs in the large dog park and that’s where we stayed the whole time. 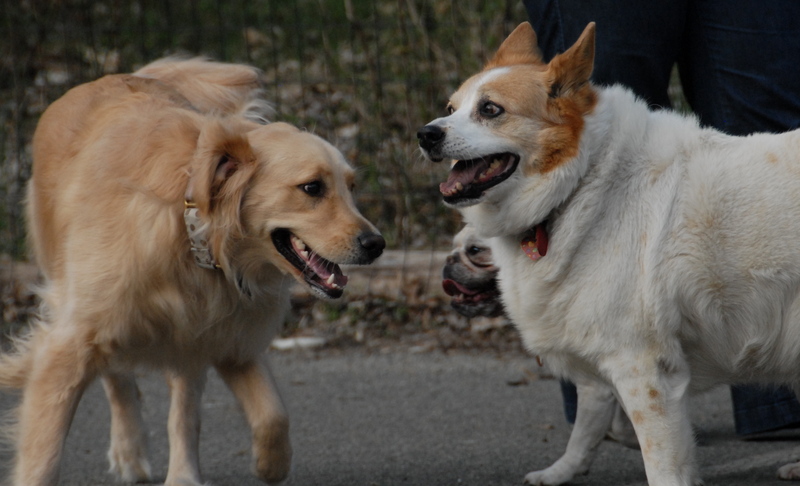 We met a few new dogs and I welcome all them to the dog blog. Some of the dogs I recall the names of include Lucy and Toulouse. I think I also recall a Pierre and a Candy, the cool looking sleek brown dog, but his collar says Camden. I’m not sure what his name is now. Nevertheless, welcome and I look forward to see you all again, hopefully in the Central Park dog park when it reopens in a few weeks. 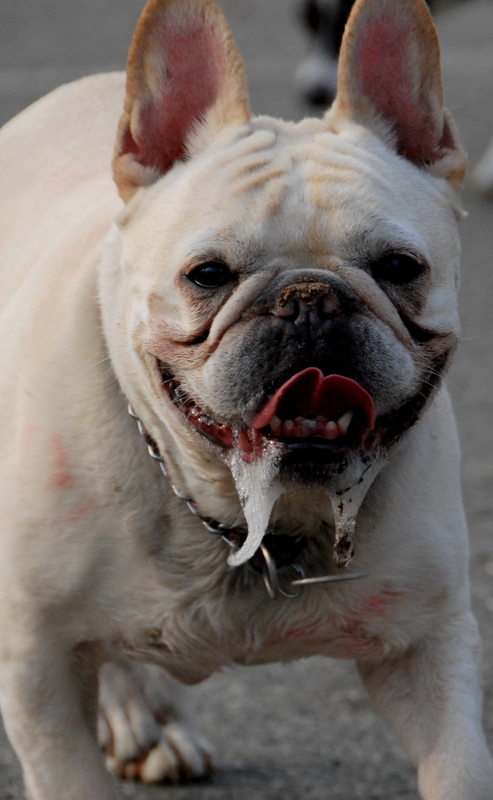 There was also a very photogenic slobbering small white bull-type of dog with remnants of red hearts painted on him. He seemed more like a pig than a dog but he took a great picture.